Mahashay Dharampal Gulati (95 years old) is the owner and CEO of Mahatma Gandhi Hatti Group (MDH). He is often called as king of spices. 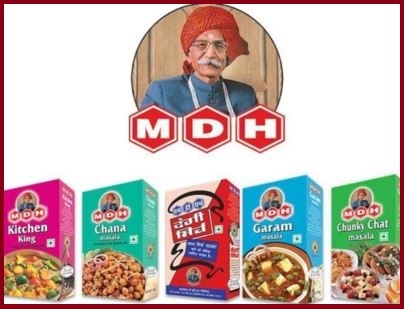 Mahashay Dharampal Gulati company MDH holds the market value of Rs 2 thousand crores. His net worth is Rs 95 million per anum. Mahashay Dharampal Gulati has been selected by the Government of India for Padma Bhushan Award 2019 for his best contribution in business and FMCG industry. Mahashay Dharampal Gulati donates nearly 90 percent of his salary. He is also running 20 schools and 1 hospital. Mahashay Dharampal Gulati is considered as the oldest advertisement star in the world. He has often seen in MDH spices advertisement on television.